Today, I received a really impressive book in the mail: Suyama Space | 1998–2017. This book documents the 19 years of site specific installations at Suyama Space, curated by Beth Sellars.What Beth and George Suyama made happen in that space in downtown Seattle was truly revolutionary, and in my opinion was one of the most affective arts spaces in the Pacific Northwest. It was really extraordinary. They provided an opportunity for young, mid-career, and internationally established artists to take risks, encouraged them experiment in ways that often not only changed those artists’ work significantly but in some cases launched their careers. The very fact that the space was not precious in ways museums are, and was not commercial and didn't respond to capitalist paradigms, allowed for the human spirit to emerge in remarkable ways that I have seen in very few other venues. Responding specifically to the unique architecture of the space, artists produced one breath-taking installation after another, and over time Beth and George created an incredible community of artists, writers, architects, musicians, and lovers of the arts. I had the great pleasure of being involved with one of those installations, a work by Anna Hepler titled Bloom (2011). Beth invited writers to contribute essays to the beautiful pamphlets she produced for each installation. In this case, she invited me, and I wrote an essay titled “The Bloom of Breath.” This essay is featured in Suyama Space |1998–2017. You can also read it online HERE. The closing of Suyama Space this year filled me with incredible sadness. I will miss it dearly. Big love to all the people who made that space flourish, and in particular a deep bow to the wonderful visionary Beth Sellars. If you are unfamiliar with Anna Hepler’s work, check her out: http://www.annahepler.com/. 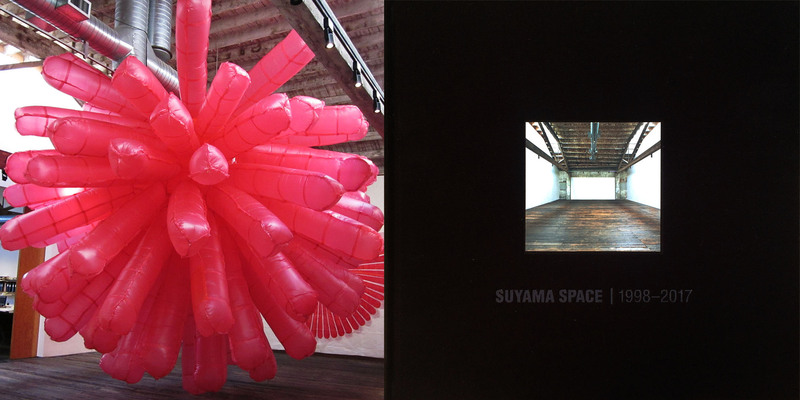 Here’s the legacy website for Suyama Space: http://www.suyamaspace.org/installations/1998-2017.